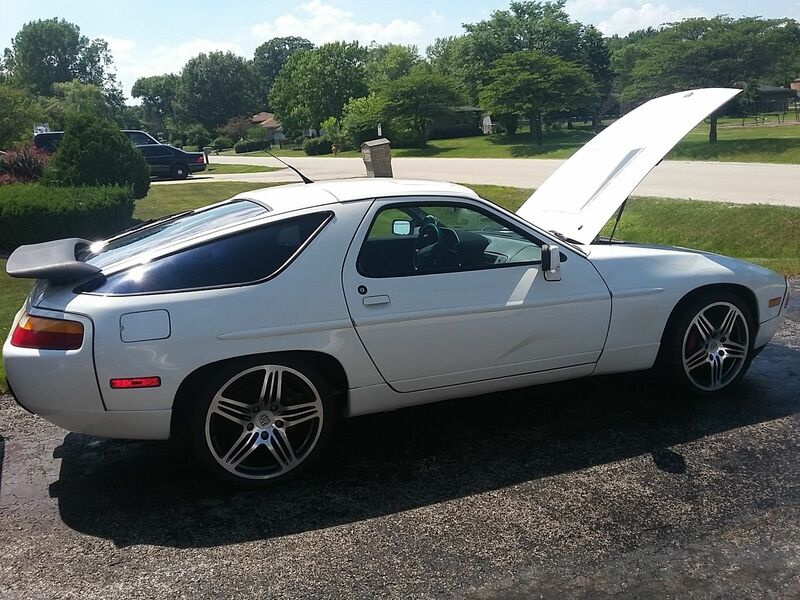 Find this 1990 Porsche 928 S4 GT LT1 V8 Turbo here on eBay bidding for $9,400 with auction ending Saturday at 7:14PM Pacific. 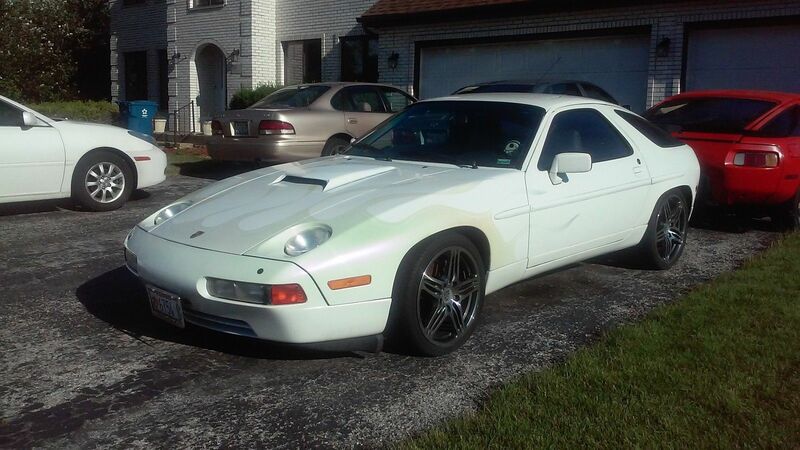 I AM SELLING MY AWESOME PORSCHE 928 S-4/GT AND THERE IS "NO RESERVE"-SO THAT LAST BID WINS! IT'LL KICK YOU BACK INTO YOUR SEAT. GETS ALL THE GEARS WITH LOTS OF POWER! 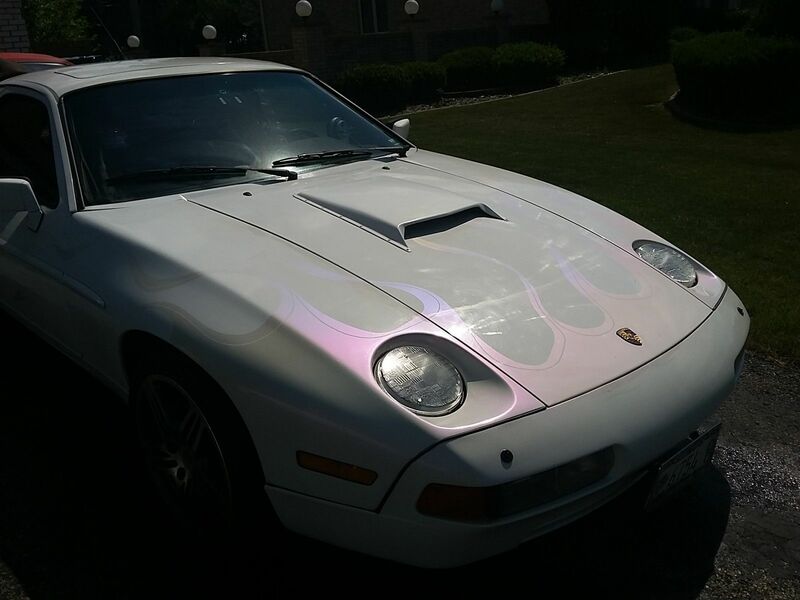 THIS "BABY" IS PEARL WHITE WITH GHOST FLAMES THAT HAVE A METALLIC TINT IN THE SUNLIGHT. FAST! I HAVE OWNED IT FOR OVER 3 YEARS AND NEVER HAD ANY ISSUES WITH THIS CAR, EVER! OF LIFE LEFT. CAR HAS A CUSTOM HOOD SCOOP AND A BLACK REAR SPOILER. 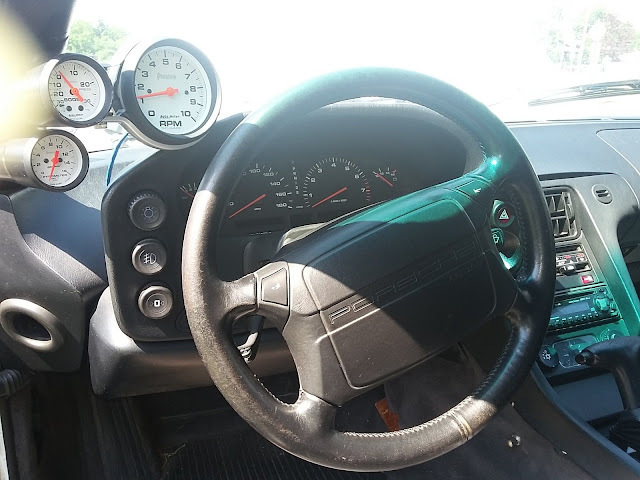 THREE (3) CUSTOM GAUGES. SUNROOF WORKS JUST FINE, ESPECIALLY WHEN YOUR DRIVING OVER 90 mph! CAR SHOULD. TURNS HEADS EVERYWHERE YOU GO AND CHICKS LOVE THIS CAR, REALLY! A FANTASTIC PORSCHE! CLEAR "CLEAN" TITLE. 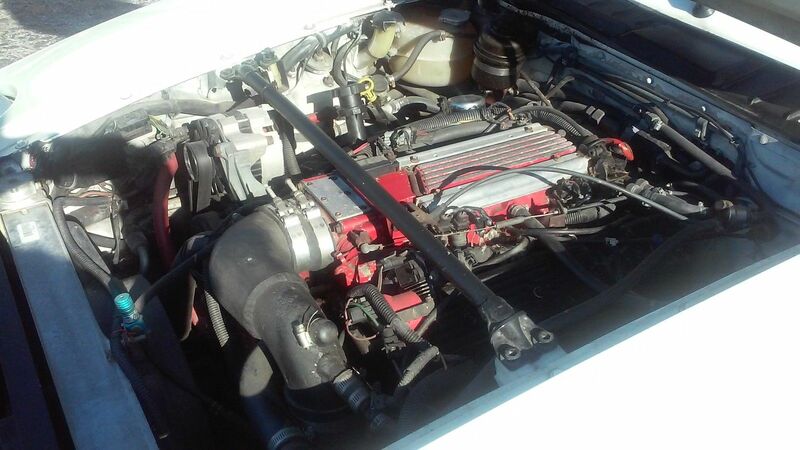 PEOPLE) SO I RESERVE THE RIGHT TO SELL THIS CAR LOCALLY AND END THE AUCTION EARLY, IF NEED BE. IT NOW AND BEST OF ALL NO RESERVE! IN MY OPINION, THIS IS THE BEST PORSCHE THAT I HAVE EVER HAD THE PLEASURE TO OWN AND DRIVE! AUCTIONS AS WELL, YOU'LL BE GLAD YOU DID! This seems like you're moving the Porsche version of a Camaro closer to being a Camaro.